How Does One Dress to Buy Dragonfruit, the anthology featuring true stories of expat women in Asia, is now available for purchase through Amazon — and officially released everywhere on June 10, 2014! (Goodreads is also giving away five FREE copies!). 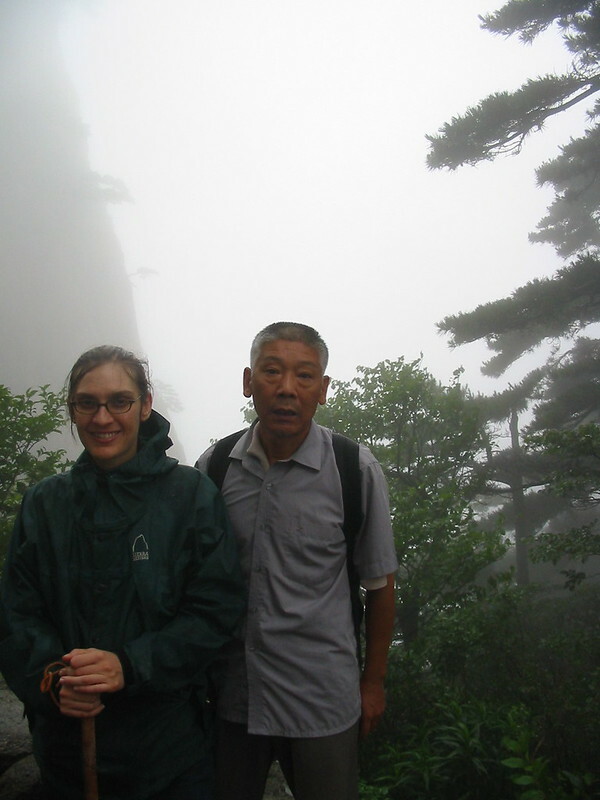 You’ll find my essay “Huangshan Honeymoon” included in the anthology, which explores a very different kind of honeymoon my husband and I enjoyed in 2005. 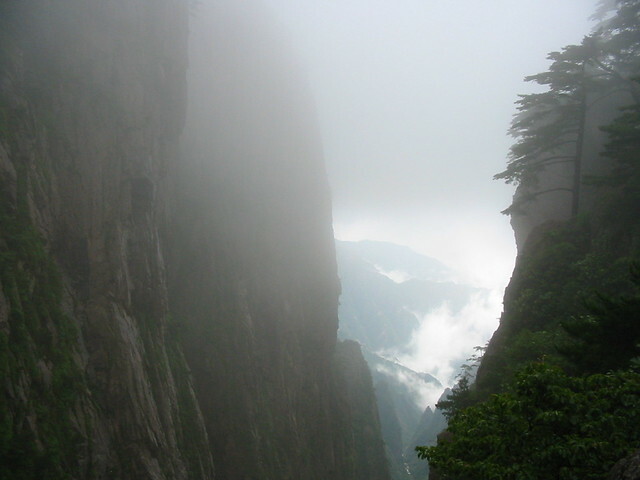 Well, yes, we planned our vacation around the chance to hike all the way up to China’s Huangshan or “Yellow Mountain”, instead of the typical honeymoon of sunny days spent lounging on golden sand beaches sipping tropical drinks and intimate twilit evenings laying in each others’ arms. And yes, we chose to set out at the height of summer’s most sultry days, and stay in a region where July and August are feared for the ferocious heat of the “Autumn Tiger” that comes around every year. 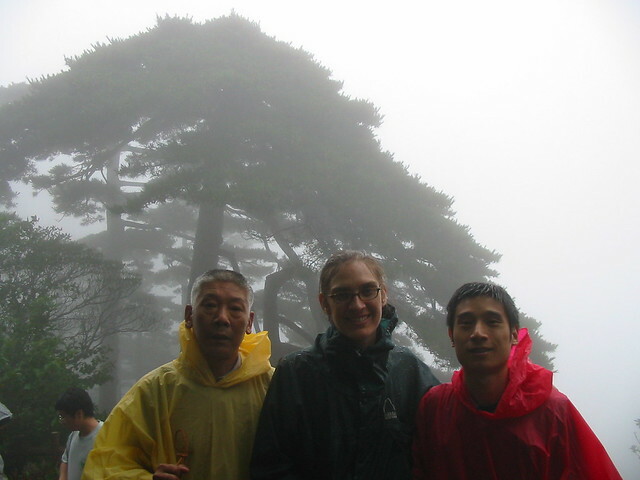 But ultimately, this is what made our honeymoon so unusual: John’s father came along with us! 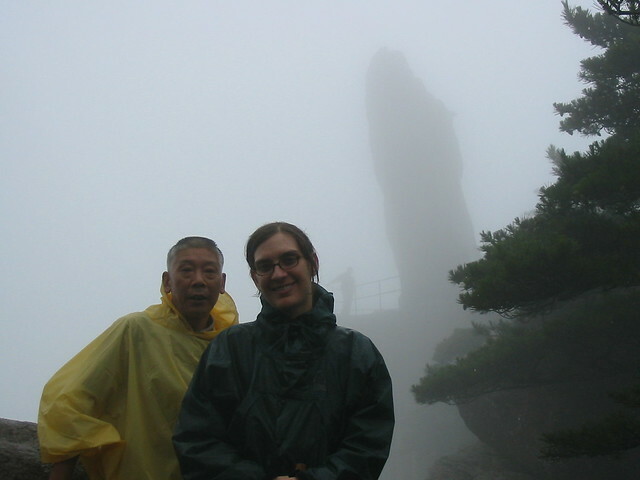 And as if that wasn’t enough, the heavens also brought us some of the lousiest viewing conditions for the mountain, thanks to the remnants of a typhoon that enveloped the scenery in a misty cloud of rain and fog. Congrats on getting your essay published in a book! It sounds like an interesting article and I can only speculate that it was his father’s dream to climb that mountain and when he heard you and John were going there, he couldn’t resist the opportunity. I guess I am going to have to buy (or win!) the book and find out if I am right! Your father-in-law looks a little worn out. How many mountains did you make him climb? Ha, I didn’t even notice that! You’re right, he does come off that way in the photos. I think it’s because he doesn’t like to smile in photos…ever. I’ve yet to snap a photo of him actually grinning at the camera. In reality, I’m the one who was more tired (which, again, you’ll find out why in the essay!). Congrats and I have to admit that I love the pictures 😀 so beautiful and mysterious. You’ve really raised my curiosity as to why your father-in-law came with you on your honeymoon (just as Constance, I would also have guessed it’s because he couldn’t resist the opportunity). Ha ha! It is an interesting and very personal reason as to why he wouldn’t resist such an opportunity! You’ll have to read it and see! But trust me, it’s such a great anthology you won’t be sorry you bought it. In fact, I’m working on another post for later to introduce a bunch of other stories from the collection that I think you and many others are going to love as much as I have. Can’t wait to read your story and all the others! Is it on Kindle? Yes, there is a Kindle version! Unusual by any count to have your father-in-law on one’s honeymoon! But I can understand why afterwards he must have come to see you differently and your relationship improved. Thanks ordinary malaysian! The trip definitely changed how both of us viewed one another, for the better! Jocelyn, I just love these photos of you and your father-in-law! He looks like a total sweetie and a total character all at once. When I read the pre-pub version of the anthology to do the blurb, your essay really touched me, since my Japanese father-in-law (“Shogun Sr.”) was such a big and important part of our lives in Osaka while he was still alive (and he was also a total sweetie and a total character!). Congratulations again on the essay. You are a great daughter-in-law, and I’m betting you’ll never regret having been so. All my best from Yokohama, where we just moved a few weeks ago! Wow, Tracy, your comment touched me deeply. I deeply admire your work as a writer and what you’ve accomplished with Four Stories, so to hear that you enjoyed my essay — it means a great deal to me. Can’t wait to read your memoir when it comes out next year. It’s my number one can’t-miss memoir for 2015. Wishing you and your family a smooth transition to your new life in Yokohama!